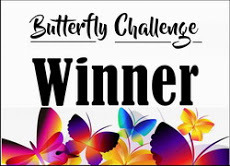 All Summer I have been trying to get a card made for the Butterfly Challenge, but the heat sapped my energy and I never made the deadlines. But this month I am in by the skin of my teeth. 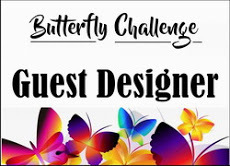 The challenge was of course to use a butterfly in our design, but with the option of also using L for letters, and/or L for Lavender. 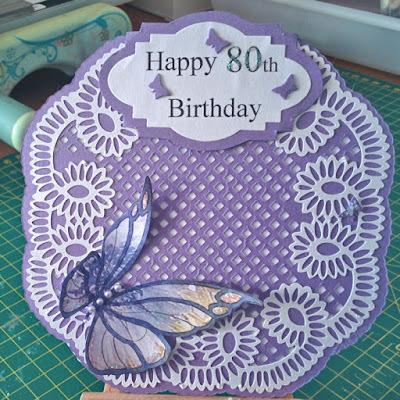 I need a card for an eightieth birthday this week, so this is what I made. I bought the files from Craftsuprint, and they included cutting files for the card base, a background sheet, the lattice layer and the lace border. 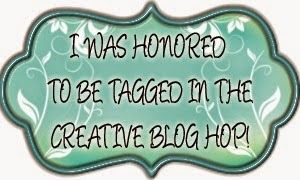 I cut it using my silhouette cameo. I knew it would be a challenge to cut the lattice and the lace as they are quite intricate designs, but I found a small piece of pearlised card in lavender that was just big enough, and when I had played around with the settings a bit, I managed to cut the lattice. The lace cut quite well with some white pearl-all-through paper.This has no fibres so always cuts well. Initially I cut the background layer from a snippet of pretty lavender and gold scrapbook paper, but I felt it got lost behind the lattice so I didn't use it. The base cut easily from white card, and this showed through the lattice better than the patterned paper. There was a small piece at the top of the lace border that 'snagged' in the cutter, so I covered this with a label cut round the outside of a die from Sue Wilson's Greek islands-Kefalonia set. The die itself was used to cut the white panel with a computer generated sentiment - (L for letters). Using the backing paper I had originally cut for the bottom layer of my design, I stamped the Leane Creatief Doodle Butterfly (won as a prize in an earlier Butterfly challenge), and coloured the frame lines with a dark lavender copic marker. I then glued it to a second piece of the BP so it was patterned on both sides, and fussy cut it. I used silicone glue to attach it to the card with its wings slightly raised. From the left over lavender card I punched out some tiny butterflies to decorate the sentiment label, and added some sparkle with glitter glue to the tips of the butterfly wings, and the numbers 80. 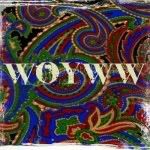 So I shall now link this to Mrs A's Butterfly Challenge #62 and also, as I haven't dropped by to play for a while, I am linking to Pixie's Snippets Playground#247. 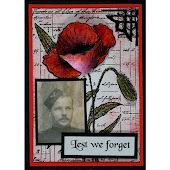 What a beautiful card Kate - this is absolutely fabulous! Love the colour and all the white detailed cutting. Wow Kate, what a stunner! So beautiful - loads of glorious detail yet retaining such elegance as well. Love this card! That is such a beautiful card Kate, I'm sure the recipient loved it. A beautiful card Kate, I love the colour and the gorgeous butterfly. Lovely cutting files too. WOW... that's a fab creation. Love the colours and the Butterfly! Just awesome!!! A stunning card Kate and beautiful colours too. I am ashamed to admit that my cameo sits unused. Wow. Hasn't the butterfly come out well. Lovely to see it being used here. Wow again for the cutting that you have done to create this card. Using one of those intricate machines is totally lost on me so I am in awe of anyone who does. I love your card. Have been away for a few days so am catching up before I run the numbers on this challenge. Your card will be entered twice for the prizes. 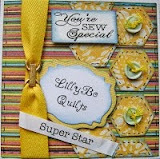 Hugs Mrs A.
what gorgeous card, and such a very pretty design. This is an awesome design and hats off to you on cutting the intricate designs with the cameo. (And getting it off the sticky sheet!) Love the colors with the gorgeous butterfly and the white delicate lace atop the lavender lattice is very feminine & strikingly attractive. Hope you will soon be getting some cooler weather. And that you had some air conditioning to stay inside in the hot summer heat. 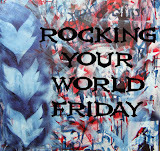 TFS & Have a great wkend. 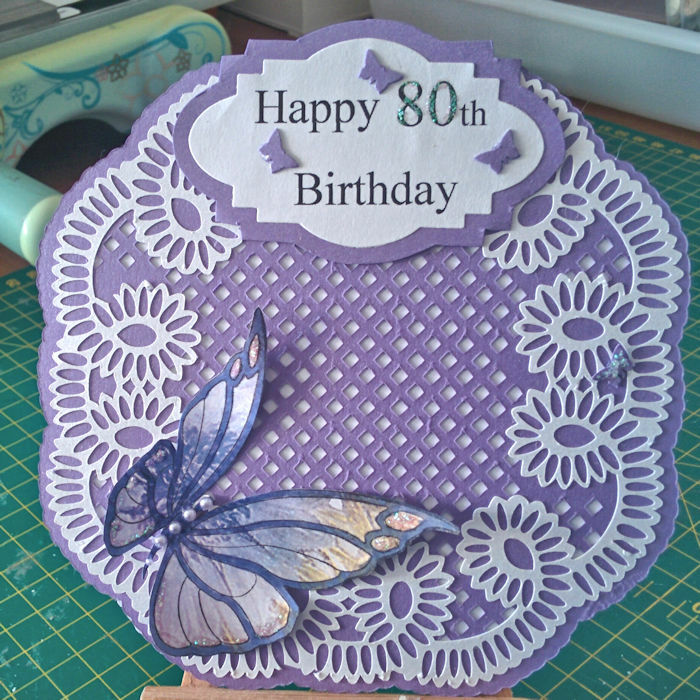 lovely card kate,the patterned paper works beautifully on the butterfly!